An issue with technology altered the intended speaker order in a move that could be likened to divine intervention. The change produced an organic flow of presentations; each talk seemed to parallel the typical career path, growing in sophistication, delving into more advanced niches, and ultimately touching upon many of the unique aspects of brand photography. The alteration placed the speakers in the exact right order, allowing for an even more detailed experience for sharing. Thomas Welch, Image Director of North America for Highsnobiety, kicked off the presentations. He shared the evolution of his career from his early work to his campaign days to collaborating with magazines, especially as the Lead Photographer at Highsnobiety. He also revealed his tips and tricks for reaching out to artists he actively wished to work with, and how to land important interviews. Tutes, Photographer and Videographer, continued the conversation with a presentation that reflected on his own career growth. Working freelance, he has been commissioned by an extensive list of brands from Coach to Hennesy to Jaguar. Born in Ecuador and raised in New York, Tutes aims to capture personal and intimate moments in the hectic city. He discussed the role of social media, such as Instagram video, but also shared the importance of authenticity and having an emotional connection to your work. Telling the story of photographing his grandmother at the incredible age of 107, Tutes noted that if you can’t shoot from the heart, you can’t shoot, drawing a genuinely emotional response from the audience. José Cabaço, Global Creative Concept and Storytelling Director at Adidas, was the final presenter. Born in Mozambique and growing up in Portugal, José has experience in product designer for the glass, furniture and car industries as well as in advertising, working at a variety of agencies as an art director and creative director including co-founding his own agency. A member of the film jury of the 2002 Cannes Festival, he met Dan Wieden which led to his position as the Creative Director for Nike. José shared stories of approaching Harper’s Bazaar about shooting for their Rio Olympics issue using only camera phones, and of how to visualize concepts and topics that connect personally with an audience. His presentation showcased different elegant layouts as well as provided an inside scoop to Adidas’ Brooklyn Creator Farm. 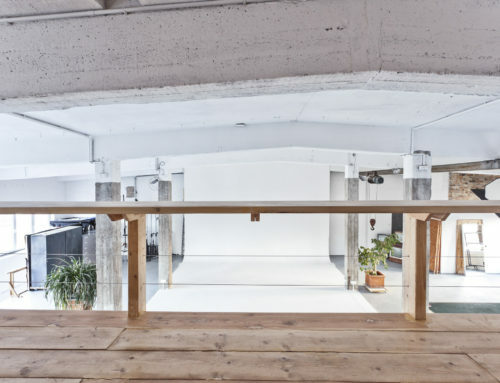 Hidden from the hustle of the city, the studio created a warm and inviting atmosphere in which the presenters and all the participants freely shared and discussed iderom. The workshop drew a phenomenal crowd: a diverse audience of professional photographers, who may have differed in gender, rank, age, and experience, but who all came willing to share and learn. The pre-presentation mingle minutes helped to bolster this sense of camaraderie that led to the creation of such great conversation among hosts, presenters, and participants that extended into Q&As and the post-event networking. To learn more about Space for Arts events, click here.